Provide comfort for the family of Rebecca Hughes with a meaningful gesture of sympathy. 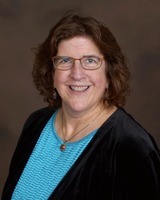 Rebecca (Becky) Ruth Hughes of Palaside Drive,Concord walked into the arms of Jesus on Tuesday, April 2, 2019. A service to celebrate Jesus Christ and Becky's life will be held at 11 AM Saturday, April 6, 2019 at Epworth United Methodist Church, 1030 Burrage Road in Concord, officiated by Rev. Sonny Reavis. Becky was born June 10, 1963 in Ft. Worth, TX to Pastor Charles Bruce Roberts and the late Catherine Brown Roberts,RN. Following in the footsteps of her mother and her two older sisters, Becky became a nurse, graduating from Dallas Baptist University with a Bachelor of Science in Nursing and Texas Women's University with a Masters of Healthcare Administration. Molded by her father's life, a Southern Baptist pastor, Becky served Jesus Christ, touching lives and inviting people to join her journey with Jesus. From Texas to Tanzania, West Africa she shared the healing love of Jesus, serving all she met, but with a passion for those on the fringe of society. Becky met her future husband, Chris Hughes, in Texas. As an engaged couple, they accepted a call to assist Jews from the former Soviet Union reclaim their heritage by immigrating to Israel. Serving in Odessa,Ukraine; Haifa, Israel; and aboard the Demtri Shostakovich with Operation Exodus she helped thousands of people “make aliyah”. On October 20, 1993, Becky and Chris were married at Christ Church, just inside the Jaffa Gate of the Old City of Jerusalem. As the devoted mother of Hannah and Sarah, Becky was involved in numerous organizations in Texas and North Carolina devoted to the lives of children with special needs including Special Olympics, the ARC, Spina Bifida Association, Miracle League Baseball, Victory Cheer of Concord, and the Starfish ministry of Epworth UMC. Becky is survived by her husband Chris Hughes; daughters, Hannah Hughes and Sarah Hughes of the home; father, Charles Roberts of Austin, TX; sisters, Amy Roberts of Tyler, TX, and Beth Eide of Kansas City, MO; other extended family members and the multitude of people her life touched. Condolences may be leftto www.wilkinsonfuneralhome.com. Wilkinson Funeral Home is assisting the Hughes family. 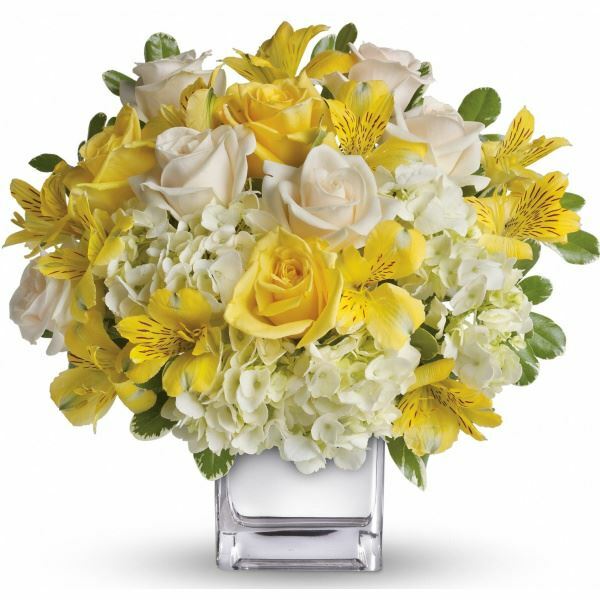 To send flowers in memory of Rebecca Ruth "Becky" Hughes (Roberts), please visit our Heartfelt Sympathies Store. Starla Beth Tickle Harrison and Autism After 18 have sent flowers to the family of Rebecca Ruth "Becky" Hughes (Roberts). Becky was a beautiful light. She was always generous and kind. We thank God for the opportunity to have known her. We are praying for your family. Heartfelt Sympathies Store purchased flowers for the family of Rebecca Hughes. "Rebecca Hughes" will remain in our hearts forever. Becky is a BIG glowing spirit ! I miss her. Starla Beth Tickle Harrison purchased flowers for the family of Rebecca Hughes. Mrs. Becky will be truly missed. I appreciate everything she did for the special needs community. As someone with Spina Bifida reading that she's helped with that association is a blessing. Sarah and I have done Special Olympics together for a long time and seeing her mom there cheering her on brighten the room. I pray for comfort for all the Hughes family during this time. Autism After 18 purchased flowers for the family of Rebecca Hughes. May the family of Rebecca Ruth Hughes please accept my sincere condolences hoping you find comfort in God's words at Acts 24:15 and Psalm 37:29.